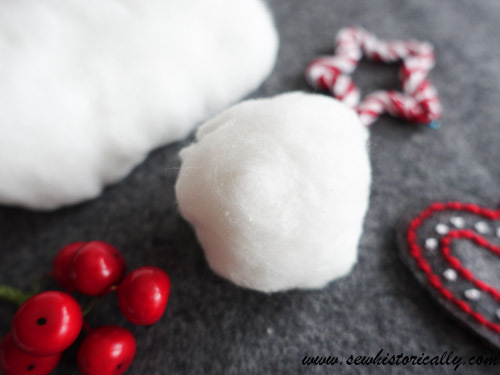 Do you want a white Christmas? 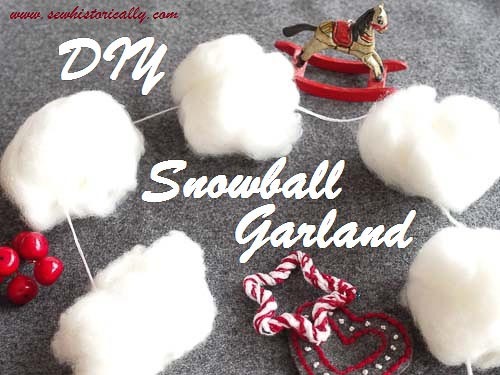 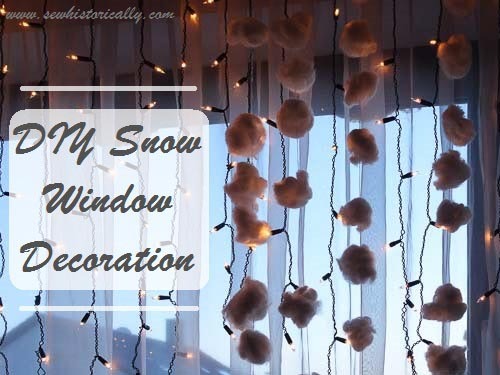 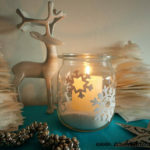 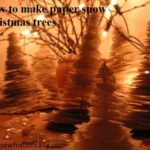 Then make wintry snowball garlands to decorate your home! 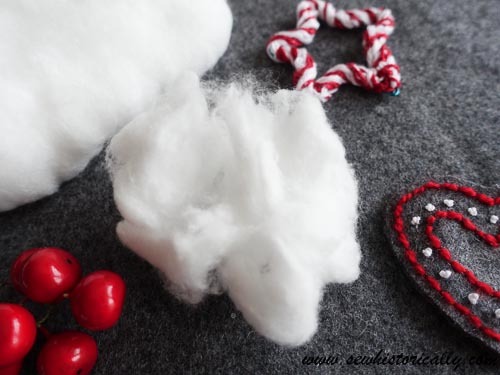 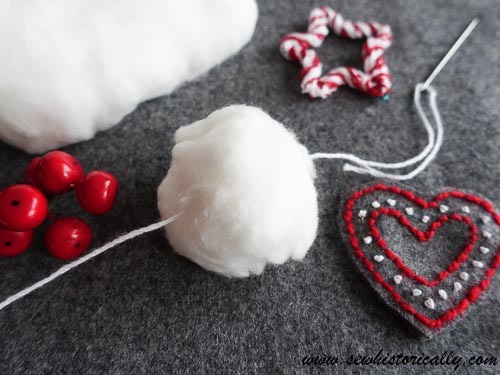 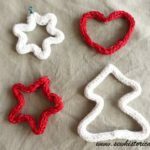 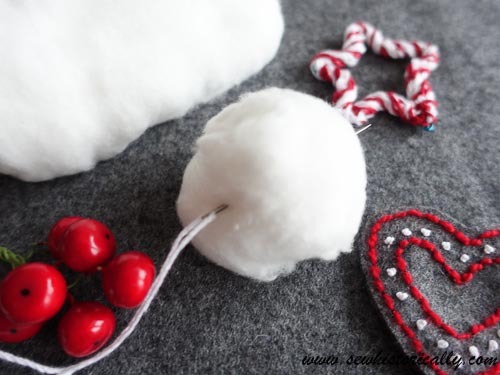 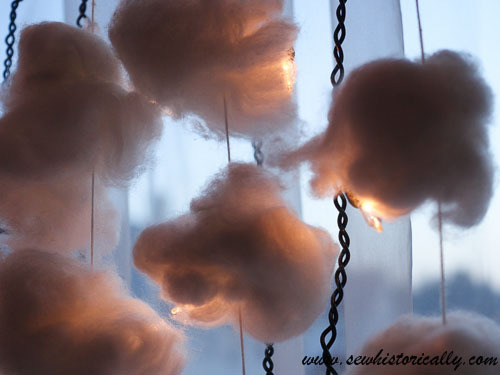 They’re very easy and fast to make, you’ll just need cotton wool and thread. 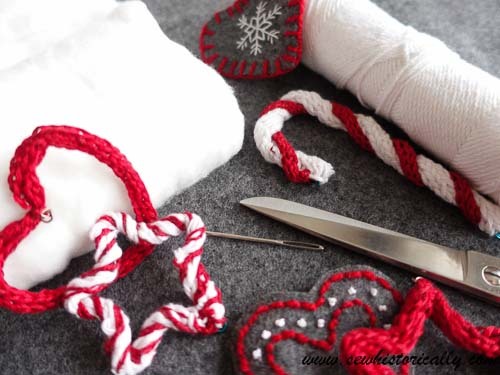 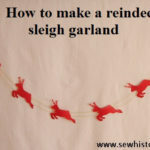 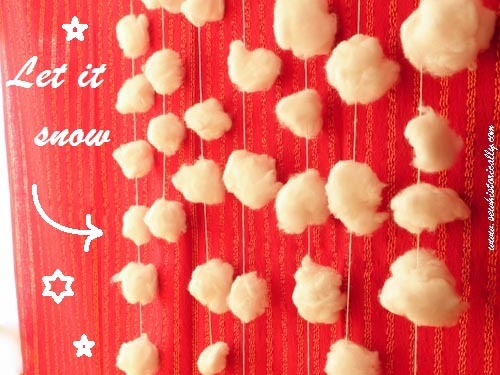 Cut a lenght of thread as long as you want the snowflake garland to be. 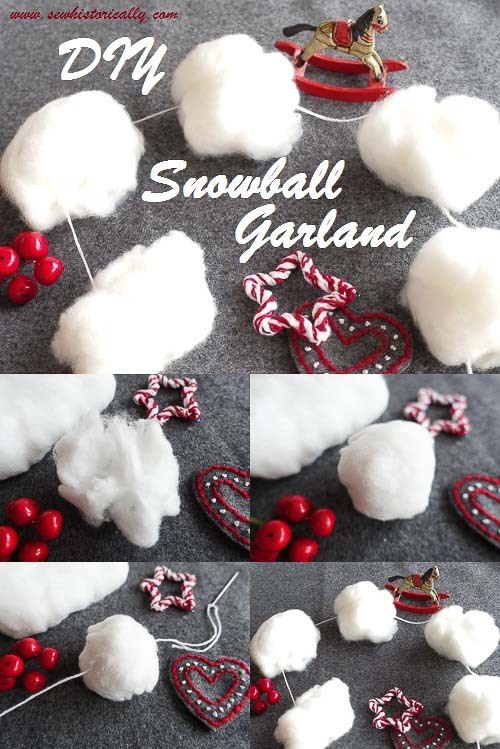 Thread the snowballs with several inches between each snowball. 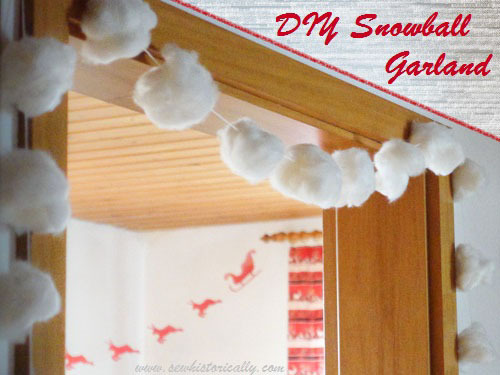 I use the snowball garlands as door garlands. 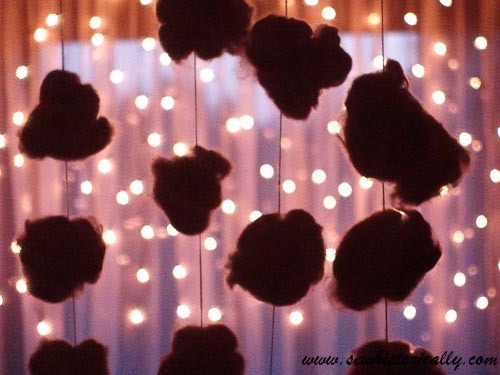 Don’t they look like clouds?